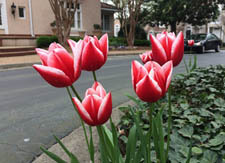 Spring brings celebrations of renewal, as Easter, Passover and other solstice recognitions of new life are observed. We also remember what has gone before, and with the passing of my mother last week, I find myself lost in the pathways of the past. It wasn't a surprise; she was nearly 98, and in ill health the recent few months, but as parents' deaths are, it was a shock. 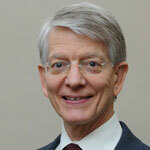 I was also moved to think of other deaths in our communities, and of other hails and farewells of late. Nature's cycle sometimes seems more pronounced, doesn't it? The hallmark of the seasons is that, trite but true, "Everything changes." We look forward to the new landscaping, to neighbors lingering outdoors, to our Spring potluck, and to meeting incoming residents. And we don't forget those who have been here before. What’s new for the spring? It’s not just blooming flowers, greening trees, and refreshed landscaping! We have three new neighbors who need our welcome. The Welcome Committee (Shirley Hollberg, Peggy Fuller, and Jan Eichelberger) will do the formal and official part. So let’s everyone else do the informal and next-door neighbor part. Unit 11: Liz Salinas moved in mid-March. Unit 12: Patrick and Marie Byrne moved in April 3. Unit 42: Terri and Earline McCormick plan to move in mid-April. 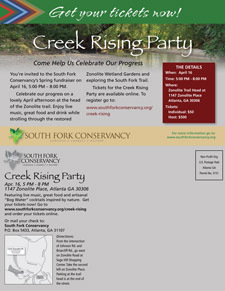 And remember our Spring Social on the front porch of the Mansion on May 3 (details to follow). The Landscaping Committee, Chaired by Jamie Ciomperlik, worked feverishly to get the spring planting done as early as possible this season. This year's theme is "Forgotten Corners." For a look at their approved plan, click the link below. What do friends, contractors, family, housecleaners, delivery trucks, painters, pizza guys, party guests and plumbers all have in common? Well, if they come to Lullwater Estate, they all have to park in our guest parking. Unfortunately for them, many times it's hard to find a place, because residents are filling them. We have a regulation here that, except for very short periods to unload or drop off, residents must use their own garages for parking, or park just behind the garage. All parking spots at Lullwater Estate, unless specifically marked as private, are reserved for guests. This is a 24-hour rule, and we hate to have to mention it again, but we've heard complaints. We hope this reminder will suffice to fix the problem. 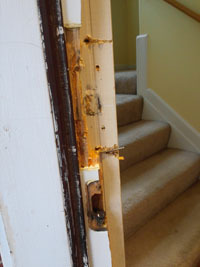 This happened to our front door on Lullwater at 1:12 PM on a recent Sunday afternoon. We were not at home. Fortunately the alarm tone alerted the intruder(s) that a code entry was expected, and he or they ran off, evidently never entering the building. They just smashed and then didn’t grab. Our courtyard door was kicked in six years ago with similar result. This second event is causing us to harden our targets against future interlopers. 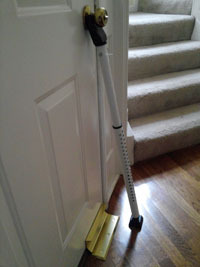 If we had used either device of Attachment 2, a removable floor plate or a knob prop, entry would have been denied. The former came from nightlock.com ($50 delivered) and the latter from Home Depot ($30). Alternatively, one might hire a carpenter to incorporate the 4’ long steel jamb (Home Depot again, $60) of Attachment 3 into one’s wooden jamb where the deadbolt strike plate is now, using l-o-o-o-ng screws. We didn’t do this because (1) it’s complicated and (2) it may just transfer the fracture point further away – in our case, to the adjacent window. To supplement our physical deterrents we have ordered an exciting new $200 doorbell from ring.com. An alternative is at skybell.com. Both of these bells replace one’s existing push button and have motion sensors, cameras and intercoms. When they sense nearby motion they call your cell phone and allow you to see the visitor and talk to him. If it’s UPS, you may say “Just leave the package on the mat.” If it’s a thug you may say “Get the hell off my porch before I blow your head off.” Or you may be more conciliatory while still letting him know you’ve recorded him. These services retain images for a year for…about $30. For the courtyard entry, which is a door flanked on both sides with glass, we’re pricing motorized external shutters. We feel more exposed over here on Lullwater than most of you in the main complex. Still, there have been several recent losses over there and the thieves are not likely to give up. I know there has long been sentiment against the Druid Hills Patrol and the few extra dollars of monthly assessment it would cost, but…every little bit might help. Maureen and Howard Rollins joined their Gourmet Club on a cruise in the eastern Caribbean, which they loved. Their favorite thing was to sit on their little deck and read, to eat in the Blu Room, and to attend evening entertainment with friends from their club, which was founded in 1971. If you happen to be strolling around the property, maybe looking down at the Community Garden, some lovely day, you just might catch a glimpse of a local artisan at work, and some of his beautiful pieces. Since January, Robert Marshall has a new hobby, one for which he's shown great proficiency, and that's turning wooden bowls. For Christmas he received a lathe, and has learned to take odd pieces of found wood and create pieces of art in the shape of bowls. Some have lids, others are more open. He lets the wood grain dictate the design, sometimes incorporating a flaw or rough part into an artful ornament. After shaping them and smoothing them, he may apply a finish to enhance the wood, or perhaps just some wax. Neighbors lucky enough to have seen these pretty containers find them stunning. Walk around and have a look! 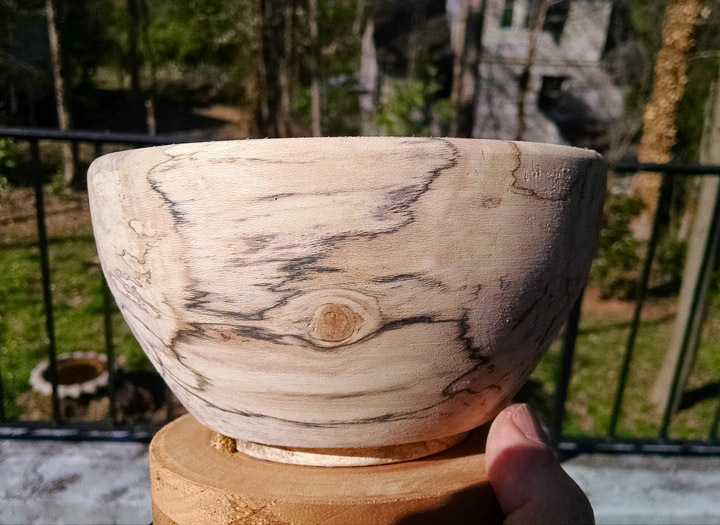 Pictured top: A natural-edge bowl turned from a dogwood stump found in someone's yard. This was turned green, and will need to be finished after it has dried completely. 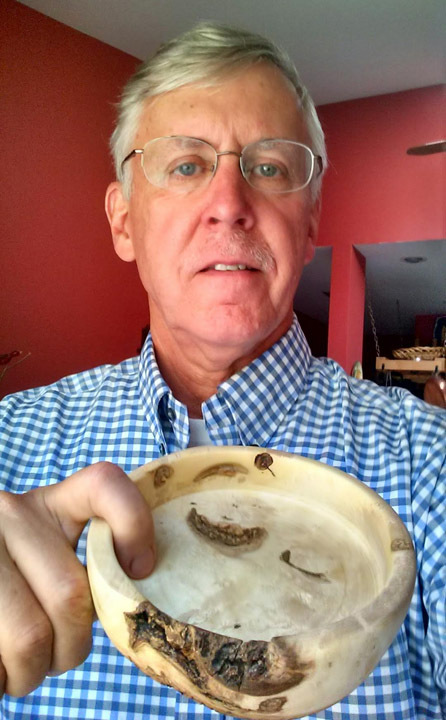 Pictured above: Unfinished bowl, from a box elder in the back yard here. CLICK IMAGES TO ENLARGE. The George Hart Men's Breakfast Group, open to all men in Lullwater Estate, meets on alternate Wednesday mornings at 8:00 a.m., over on North Highland Avenue at the American Roadhouse. Here vast topics are reviewed, without any particular conclusions reached or consensus achieved, but the food is comforting and the company interesting. Come and meet your neighbors! 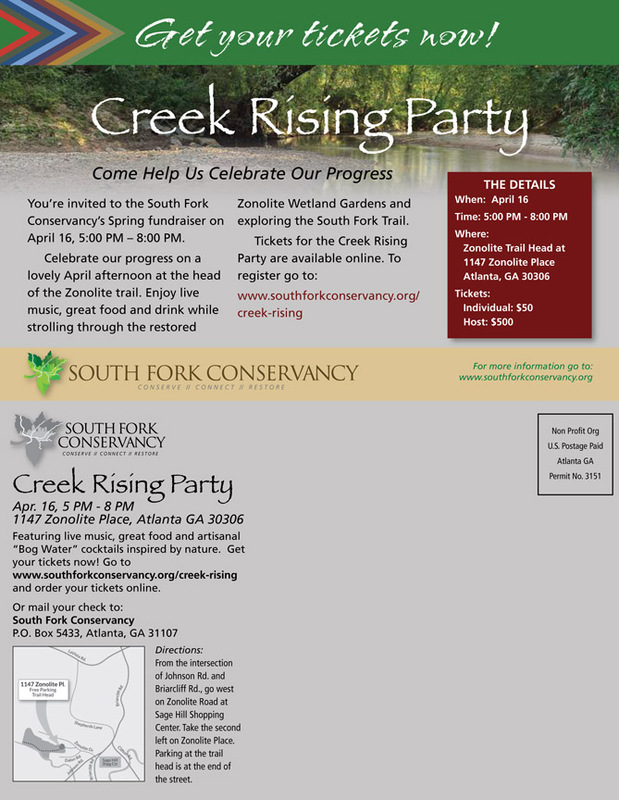 For more information, contact Hilton Fuller. The Lullwater Literary Ladies are currently reading a fat tome by Donna Tartt, called The Goldfinch. We'll be meeting at Lynn Hart's (#42) to discuss it and other burning issues on April 23. A promised tour of her newly refurbished kitchen, den, and bathroom is an additional treat! On May 21, we'll be at Shirley Hollberg's,(#16) talking about All the Light We Cannot See, by Anthony Doerr. Our meetings are open to all women residents of Lullwater Estate. We gather about 3:30, with discussion beginning at 4:00, usually on the third Thursday of the month. Several familiar faces were spotted at the festive Gala for the Olmsted Linear Parks Alliance. We managed to find two sets of current and former LEOA Presidents, as well as June Hemby, there with her family to receive an award in the name of John Hemby, who died in December and is much missed. Thanks for reading! The next issue of Lullwater Latest is planned for July. Lullwater Estate is always a beautiful beautiful place to live, but spring is singularly marvelous; with daffodils and tulips galore. CLICK IMAGES TO ENLARGE! Artisans and performers generate a lively scene, just across the street from us! Bring a dish to share, and your own beverage. Water and soft drinks, flatware and paper plates will be provided. 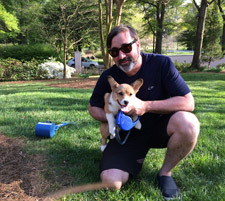 After Mark Etheridge's Corgis died last year, we all missed seeing him out walking them, and of course he missed them most of all. 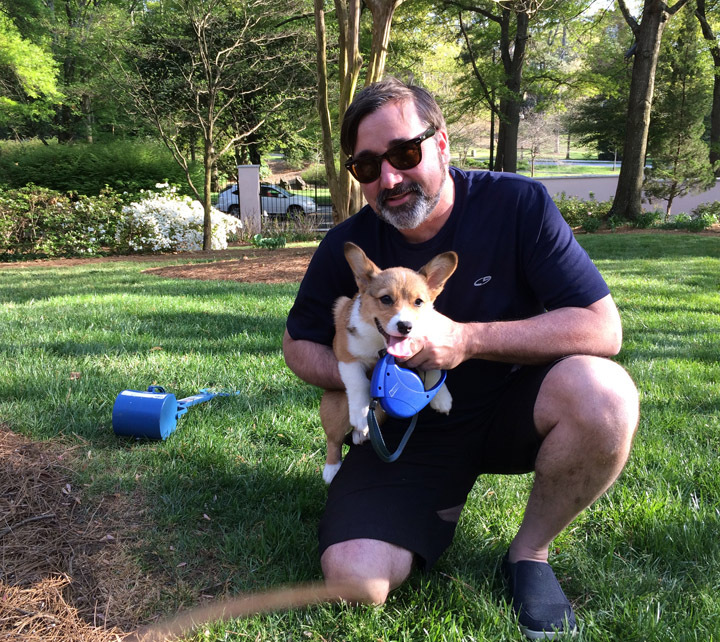 In January rumor went that a baby Corgi had been born, destined for Lullwater Estate. Ginger has arrived, and we caught up with the happy pair in front of the mansion. 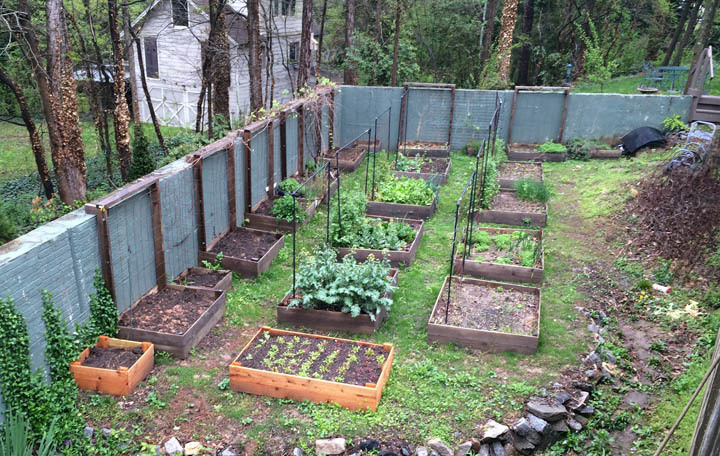 Now in its third year, the community garden is gearing up for a productive season. As usual, tomatoes, greens, and all sorts of other veggies are going in as you read this! Fescue grass has been establsihed around the raised beds and two plum trees were added to the garden picnic area. Walk on down and take a peek. 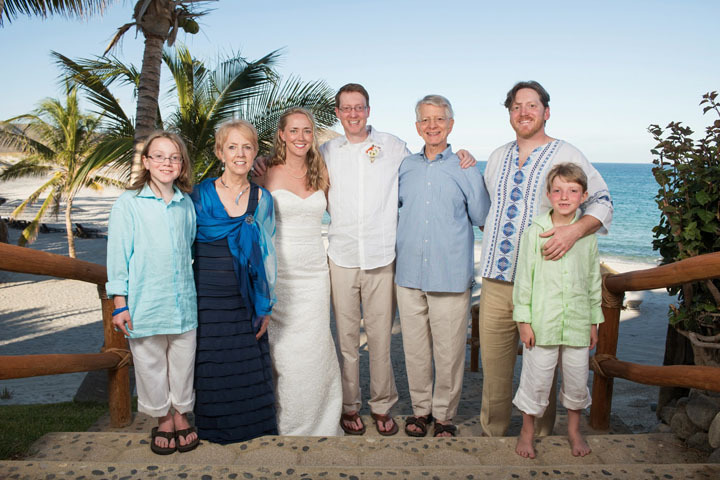 Bill & Shirley Hollberg and their family enjoyed a sunny week on the Baja peninsula in Mexico March 10-16, celebrating the wedding of their son, Mitch, to Michelle Russell. There were two sea expeditions - one to swim with whale sharks, and another to swim with the only sea lion colony on earth that has no natural predators, making them fearless and non-aggressive. Even 10-year-old Spencer and 7-year-old William learned to snorkel and enjoyed the adventures. Kathy Radde was very happy with the window cleaners that she hired to clean inside and out of all her windows and one high chandelier. The company is Sunshine Window Cleaning, Website Link. She thought the rates were very reasonable and that they did a very good job. 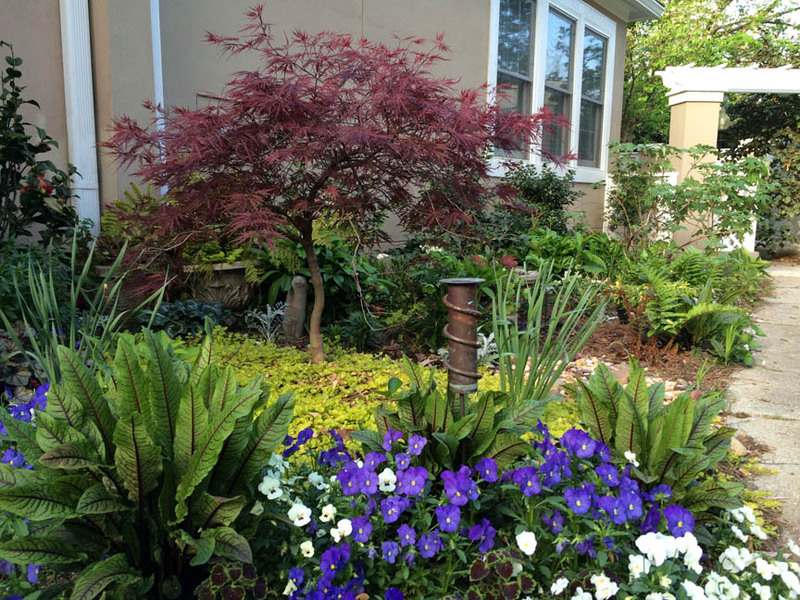 The editors would like to thank Don Kenagy, the Landscaping Committee, Robert Marshall, Maureen Rollins, and Bill & Shirley Hollberg for contributing to this newsletter. We welcome items from all residents, anytime. The media committee is seeking a couple more committee members to help with our seven issues per year. We need someone to look for news items, and write some of them up, and could use another photographer to snap shots of residents and properties. If you feel you could volunteer, it probably would take very little time, and think of the glory! Contact Betsy Marvin.